Tech at Night: DOJ comes after human trafficking online. Anti-American hysteria reaching new peaks. Tech at Night: DMCA reform should be balanced and not favor one side. Obama to give over the Internet to the UN. 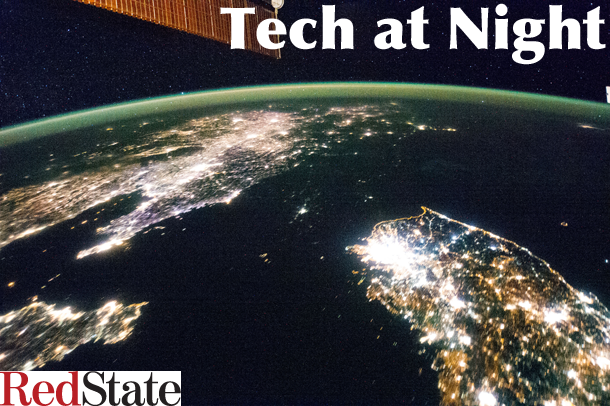 Tech at Night: Commissioner O’Rielly makes a great point on reform. Tor users point out the mote in Apple’s eye. DOJ is coming after human trafficking coordinated online. But don’t worry guys, all the drug dealers on Silk Road who get people hooked aren’t to blame at all, except that a lot of the victims of human trafficking get sucked into it via drug addiction. Let alone all the direct human trafficking done via Tor with Bitcoin. In 1997 I attended a speech by Warren Buffett. One thing I’ve always remembered from it, was how he explained he prefers to invest in businesses he understands, like Coca Cola. Buffett staying away from Bitcoin doesn’t surprise me a bit. I doubt he does understand it, but at the same time the outrage by the Bitcoin ideologues is delicious. I guess it beats continued sobbing over all the exchanges that keep dying. This whole Edward Snowden charade makes me imagine this is what it was like in the days of the Soviet Union, when foreign propagandists would drive stories about how terrible America is, and how great the peace-loving Soviet Union was. They’d tell us that America needed to unilaterally dismantle our nukes, because we were the warmongers and the Communists were the victims. Well, here we go again. Now we’re being called the “enemy of the Internet”, even though we invented it, built it, and run it. So the radicals want us to disarm ourselves online unilaterally to give the Russians a free hand in their online attacks. Barack Obama’s National Broadband Plan is a miserable failure. It achieved nothing. In fact government has hindered broadband access and adoption. Private business has succeeded in spite of the Obama FCC, not because of it. NYPD refuses to give out in a Freedom of Information Law request its own Freedom of Information Law policies. Heh. New York.